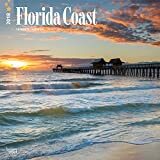 Bask in the glorious natural wonders of the Sunshine States sandy beaches, crystalline water, and vibrant ocean-view sunsets, painting the horizons of the 2019 Florida wall calendar. Welcome to paradise! Sixteen-month wall calendars include each month in 2019 as well as the last four months of 2018, printed on paper certified by the Forest Stewardship Council. 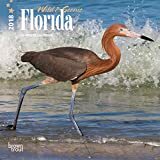 Besides its spectacular and extensive coastline, Florida is a land of tropical marshes, natural swamps, woodlands, and forests, all of which play host to a wealth of extraordinary birds, reptiles, mammals, and exotic plants. 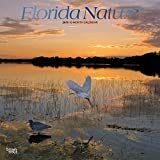 Florida’s natural beauty is on display in this thrilling square wall calendar. The Sunshine State is full of quiet forests, sand dunes, coral reefs, and freshwater marshes. Bordering the Atlantic Ocean and the Gulf of Mexico, Florida has some of the most beautiful beaches in the world. When the sun rises and sets, Florida’s sky is a canvas of delicate clouds and brilliant rays of red. There’s no shortage of incredible sights to see throughout this breathtaking state. 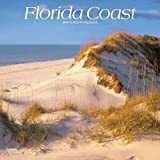 Enjoy these magical vistas in this Wild & Scenic Florida deluxe wall calendar. The Sunshine State is full of quiet forests, sand dunes, coral reefs, and freshwater marshes. Flanked by the Atlantic Ocean and the Gulf of Mexico, Florida has some of the most beautiful beaches in the world. When the sun rises and sets, Florida’s sky is a canvas of delicate clouds and brilliant rays of red. Enjoy these magical views in this Florida mini wall calendar. Prove you are a passionate Florida State Seminoles fan with this 12" X 12" academic wall calendar! This calendar features 16 months (Sept. 2018 - Dec. 2019) of full-color action shots of the top players from Florida athletics, along with player profiles, stadium & mascot images, and visually appealing graphics designed with the school's colors and team logo! With the Atlantic Ocean to the east, the Straits of Florida to the south, and the Gulf of Mexico to the west, Florida has the longest coastline in the contiguous United States. 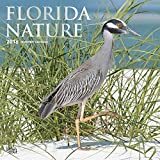 The spectacular nature photography in this square wall calendar captures the diversity of the Florida coast from sandy beaches with sea oats and dunes to mangrove forests, salt marshes, and more! 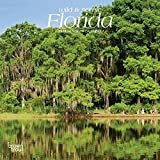 Besides its spectacular and extensive coastline, Florida is a land of tropical marshes, natural swamps, woodlands, and forests, all of which play host to a wealth of extraordinary birds, reptiles, mammals, and exotic plants. 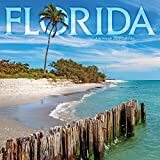 Floridas natural beauty is on display in this thrilling square wall calendar. Prove you are a passionate Florida Gators fan with this 12" X 12" academic wall calendar! 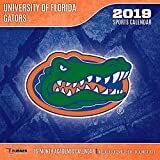 This calendar features 16 months (Sept. 2018 - Dec. 2019) of full-color action shots of the top players from Florida athletics, along with player profiles, stadium & mascot images, and visually appealing graphics designed with the school's colors and team logo! The Sunshine State is full of quiet forests, sand dunes, coral reefs, and freshwater marshes. Flanked by the Atlantic Ocean and the Gulf of Mexico, Florida has some of the most beautiful beaches in the world. When the sun rises and sets, Florida s sky is a canvas of delicate clouds and brilliant rays of red. Enjoy these magical views in this Florida mini wall calendar.